Имате въпрос към Ideal River View Resort Thanjavur? Построен през 1995, Ideal River View Resort Thanjavur е важно допълнение към Танджавур и разумен избор за пътуващи. Хотелът се намира на 6.2 km от центъра на града и осигурява достъп до важните места на града. С удобното си местоположение хотелът предлага лесен достъп до всички градски забележителности, които задължително трябва да се видят. Ideal River View Resort Thanjavur също така предлага много съоръжения за обогатяване на Вашия престой в Танджавур. Хотелът е оборудван със съоръжения като 24-часов рум-сервиз, безплатен WiFi достъп във всички стаи, 24-часова рецепция, съоръжения за инвалиди, експресно настаняване/напускане. Ideal River View Resort Thanjavur разполага с 33 стаи, които са обзаведени с вкус. Много от тях предлагат удобства като телевизор с плосък екран, достъп до интернет (безжичен), стаи за непушачи, климатик, отопление. През деня можете да се насладите на отпускащата атмосфера благодарение на гореща вана, фитнес зала, сауна, спа с гореща изворна вода, открит басейн. Ideal River View Resort Thanjavur е най-подходящото място за Вас, ако търсите качествен хотел в Танджавур. Деца на възраст 5-9 години ще бъдат таксувани 50 % от цената за възрастен за закуска. Unmarried couples are not allowed. Provide shelter in walking path to rooms, in summer it really helps. Absolutely great place! A service level I haven't seen for years. Kind and friendly staff. Massive well equipped rooms. Fantastic swimming pool. Enjoyed the massage therapy. We stayed in the main building.the complimentary breakfast was to die for! All veggies organic home grown in the most beautiful gardens on the left side of the resort. Go! A beautiful place hidden at the bank of Kaveri river. Wonderful place to spend with family. Dinner was superb. The staff were very helpful and attentive. Will come again for another long stay. Ideal River View Resort is a great place for a family. It overlooks the river and plenty of water this time of the year. Of course this means that if you would like to sit outside in the patio in the mornings and evenings you need carry Odomos mosquito repellent. The house keeping staff is smart and efficient and very helpful to your needs. The restaurant staff is great too both in terms of restaurant dining and room service. All in all a bit far from the temple, but a nice place to stay. Remember that the the resort has a room on the ground floor and upper floor in each of the buildings side by side to each other. The patio on the upper floor had a good view of the river. So you will need to ask for that upper floor room. I did not know that and ended up in the lower floor, even though they gave me a very private one at the end close to the pool. A nice, spacious resort in a great location outside the city. It is a 15 minute Rick ride into Thanjur town centre but, you really don't want to be in town anyway. Food was pretty good, although breakfast was average. I would happily return for a several days stay punctuated by visits to the splendid Brehadeshvara temple. Not luxury, but very charming, hospitable and comfortable enough. 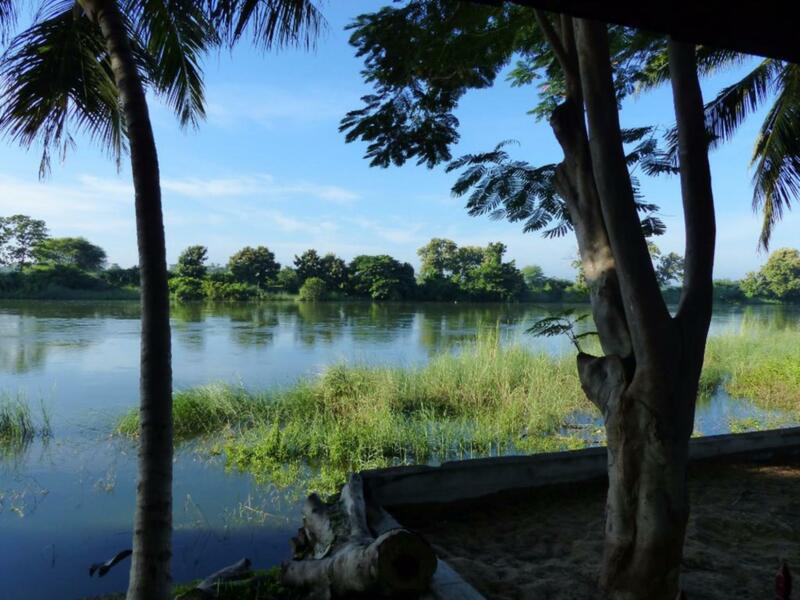 A very relaxing place, with beautiful views from the river side of the hotel. Pastoral scenes, birds watching, carts drawn by bullocks fording on the river bed at a crossing point, lovely sunset: charm!!! A wonderful, top class, swimming pool. The food is good, excellent grilled fish à la carte, and light salads, as well as all the Indian fare. Service is very helpful, not sophisticated, but present and responsive. 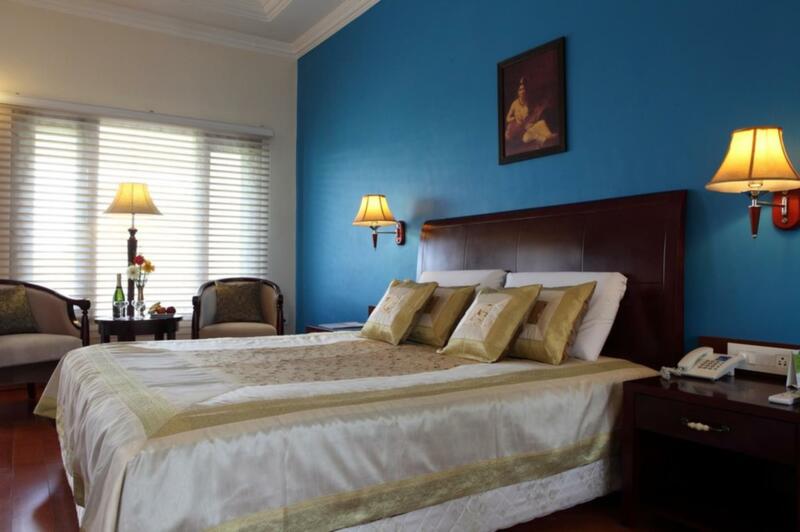 The rooms are a bit faded, and the beds mediocre, but not at the expense of restful sleep. I recommend this hotel, and would stay for longer stretches, for instance as a simple haven to indulge in writing. It is a few kilometres outside Thanjur but easy to get into centre. Although near the flyover once you turn down the drive it is very peaceful and picturesque., near the river. Rooms were large and clean. Staff were really friendly and helpful. We enjoyed our stay and would not hesitate to recommend this hotel. No real complaints. Everything was perfect. The hotel was pleasant, the rooms comfortable, the pool was very nice and certainly an asset. The only thing we thought was that the food could really do with some improvement and was not to the same standard as other hotels we had stopped at. My husband developed food poisoning during our stay and he thinks it was from a curry he had in the restaurant. 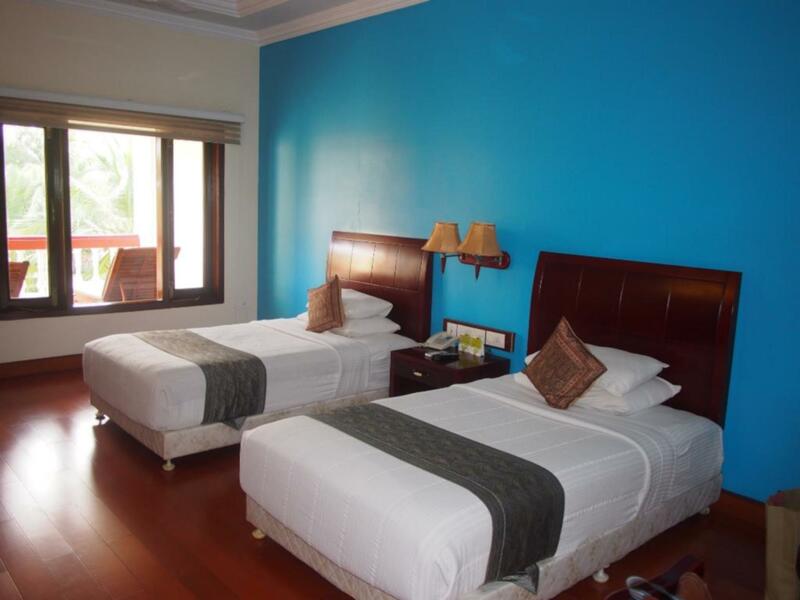 The room was more spacious, cleaner, had better light than its sister property, Ideal Beach Mahabalipuram. Staff were extremely friendly and we felt very welcomed. One con is that the water pressure was negligible and there was only luke warm water in the evening. WiFi was a bit spotty but still ok. Very good location, and Great Rooms, very clean, very good bed, superb bathroom with bath tub! 100% recommended to stay here !! We'd booked two rooms at first and added a third room and had confirmation from Agoda that the room was reserved. However, upon reaching the resort, we were told that there was no booking for the third room. The staff at the reception wasn't helpful and we had to talk to the Chennai office to clear the confusion. Agoda did try to intervene, but the hotel needs someone more efficient at the front desk.